So as I said my migraines started aged 10 and continued to be awful but less frequent (3 a year). I learnt to manage and deal with them the best I could although so inconvenient. 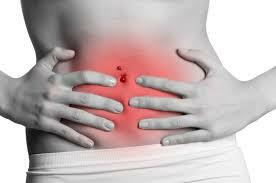 Around the age of fourteen I developed new symptoms and problems with my stomach. I would have a lot of left sided abdominal pain, bloating,bad diarrhoea and nausea. It would feel like someone was twisting and stabbing my intestine and some times i could feel and see the intestine was rock hard. I would feel like i would pass out from the pain.Around half an hour after each meal I would rush to the toilet. Certain foods and large meals seemed to aggravate and I was also losing a lot of weight. It got to the point where I dropped from 8stone to 6 stone and my monthly cycle stopped. I sought help from my g.p who ordered a whole bunch of tests. I had a ct scan and ultrasound as well as a rectal exam. Then came the worst part gastroscopy and endoscopy (basically cameras down your throat and up your bottom). I was worried about the actual procedure but little did I know it was the prep I should have been more concerned about. I had to eat a special bland diet a few days before and then the night before three lots of laxatives I was given specially. For someone that already had problems with diarrhoea this was hell on earth. I did not sleep at all as every time I relaxed I would feel like I would defecate. My rear end has never been so sore like I had eaten 100 vindaloos. Needless to say by the next morning I was so exhausted from lack of sleep and being nil by mouth since the night before. I just wanted it over with. I vaguely remember parts of the procedure, gagging as they passed the tube down and complaining of pain in my tummy as the tube passed through my intestine. They took biopsies from my oesophagus which left my throat and chest feeling sore. Other than that I felt ok afterwards just drained. Your story sounds so much like my own, stomach-wise. On my last visit to the gastro doc he recommended a gluten free diet, which surprised me , although I was ahead of him. I have recently been working with a doctor of Functional Medicine and for the first time in forever, am not having stomach problems after eating. I gave dairy upalso. Probiotics are a must. Stay healthy and keep posting. Next Next post: You are amazing !